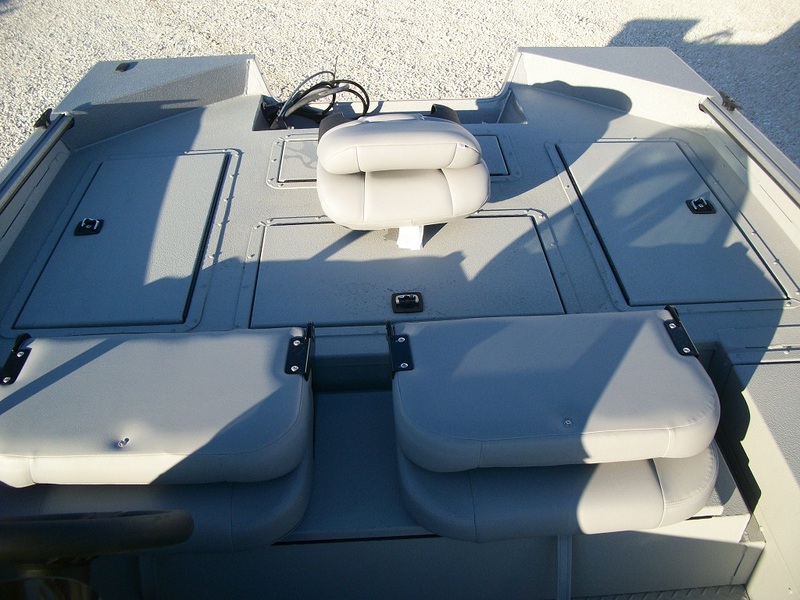 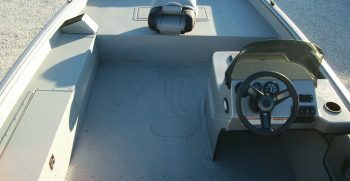 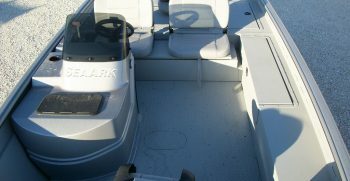 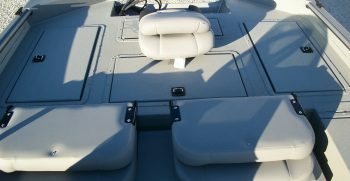 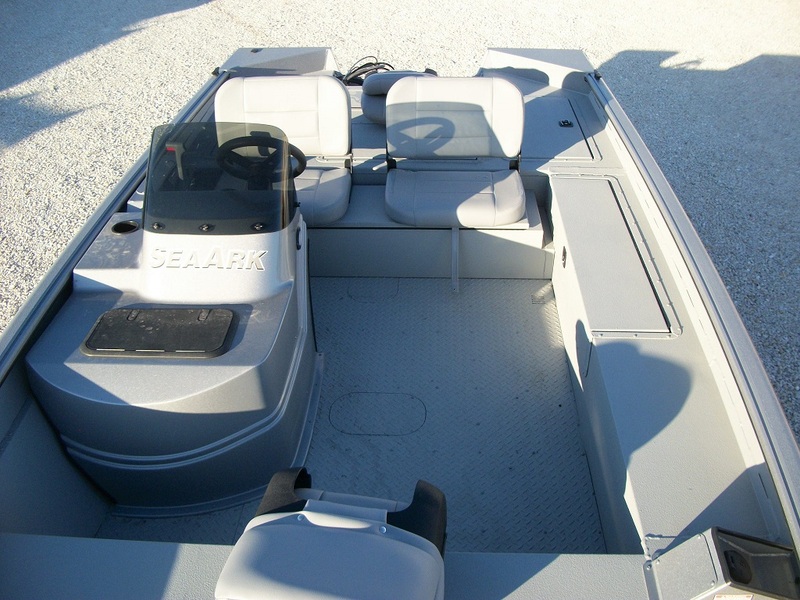 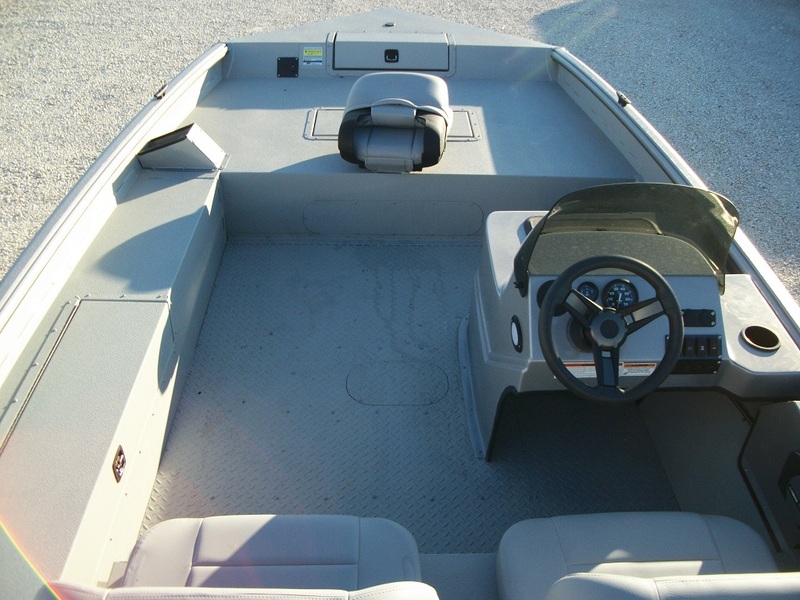 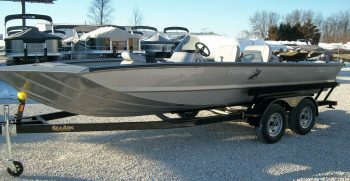 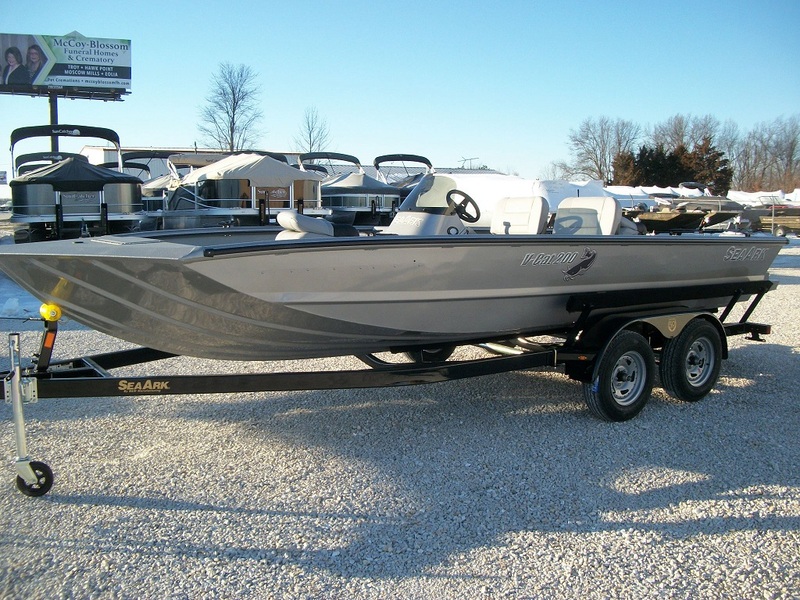 The V-Cat 200 is boat that is well suited to bass, crappie, and catfishing. 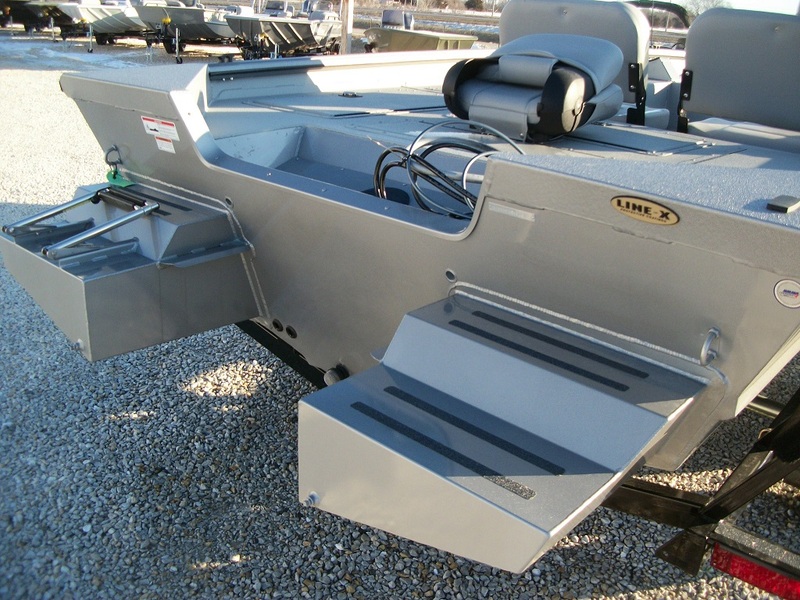 Built with a 15° V-Hull the V-Cat is the perfect option for big lakes or rivers. 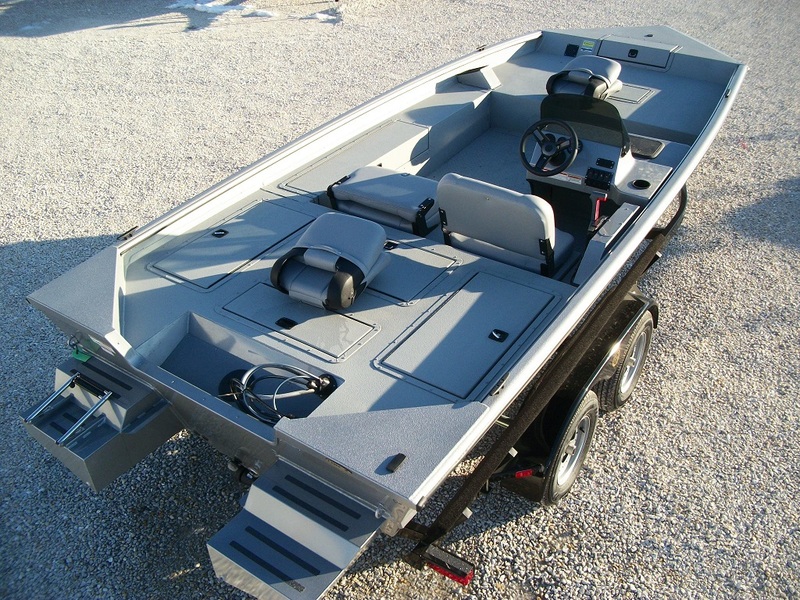 Designed to cut through heavy chop, it makes for a smoother ride and handling. 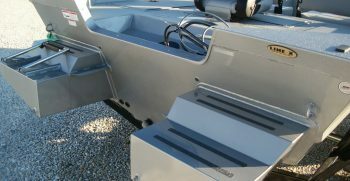 It features huge storage areas and livewells. 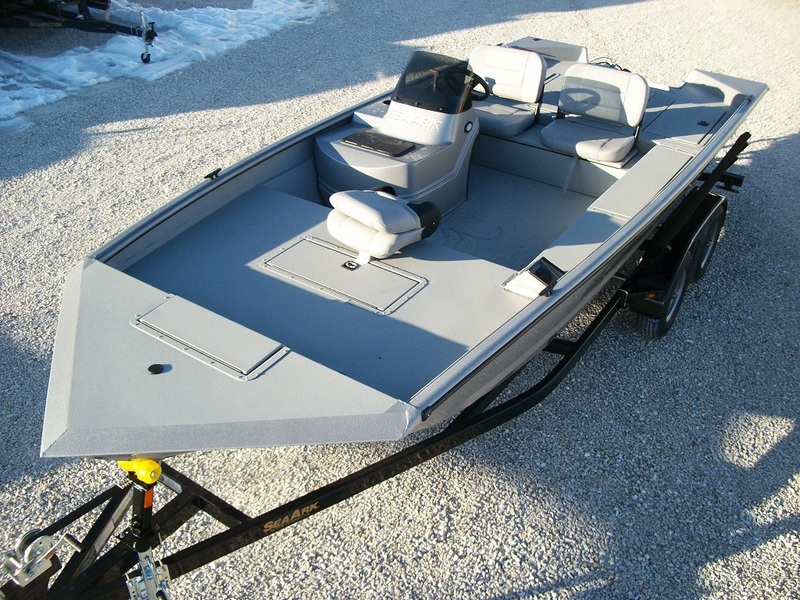 This one has the huge 60 gallon divided livewell and the console livewell. 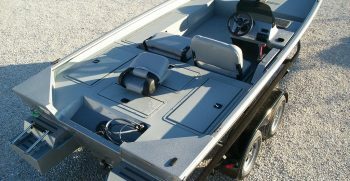 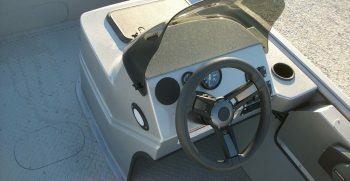 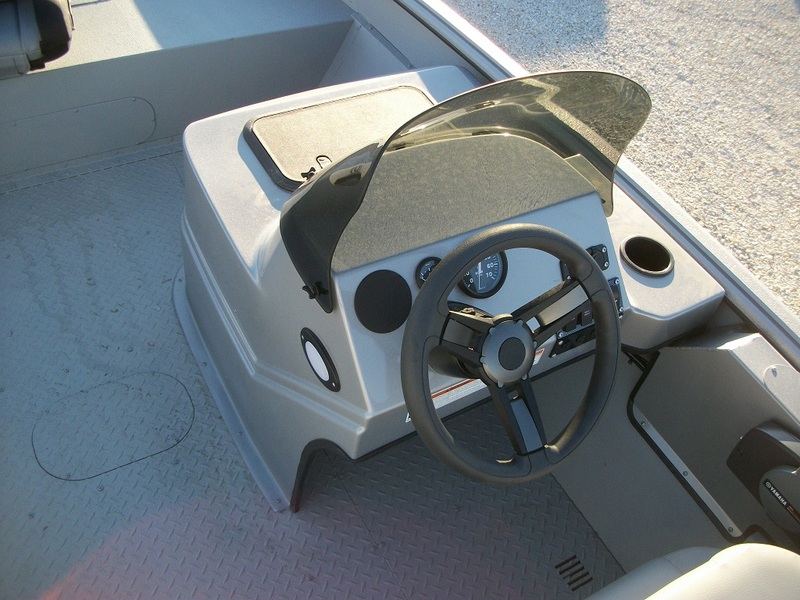 It has hydraulic steering, built in locking rod locker, flotation pods, and boarding ladder. 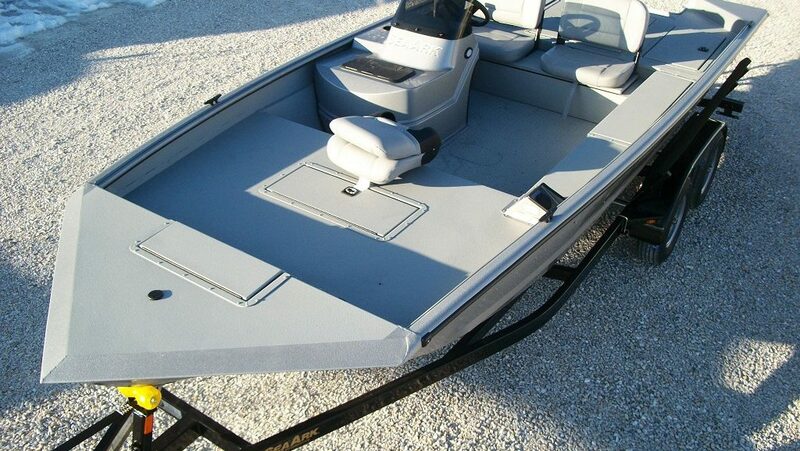 Its finished in the Sparkle Silver with Sharkskin gray Linex liner.